B&R presents a new box PC, the Automation PC 910. The newest third generation Intel Core i technology is at the heart of this industrial PC. Core i3, Core i5 and Core i7 CPUs with up to four cores combined with the brand new QM77 Express chipset provide a high level of industrial computer performance. The user is able to mix and match CPU performance with different sized main units as needed. For example a quadcore CPU can be used in a single-slot housing or a single core Celeron can be used in a five-slot housing. The PC 910 has a serial ATA-based CFast card to replace the previously used CompactFlash. 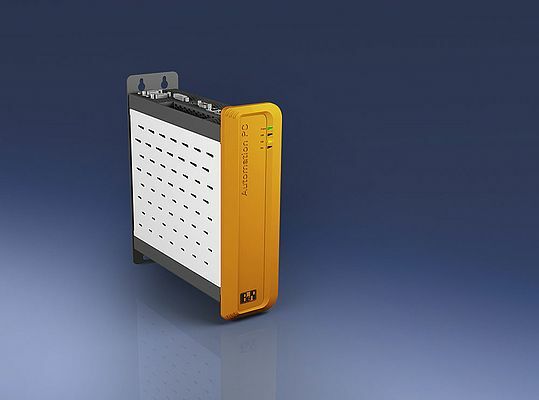 the supplier has chosen the approach of combining compact, CFast-based removable media with standard PC solid state drives and hard disks in their latest industrial PC. Interface options include two ports for Gigabit Ethernet, one serial and one modular serial port, such as RS485, or CAN together with USB 3.0 ports.